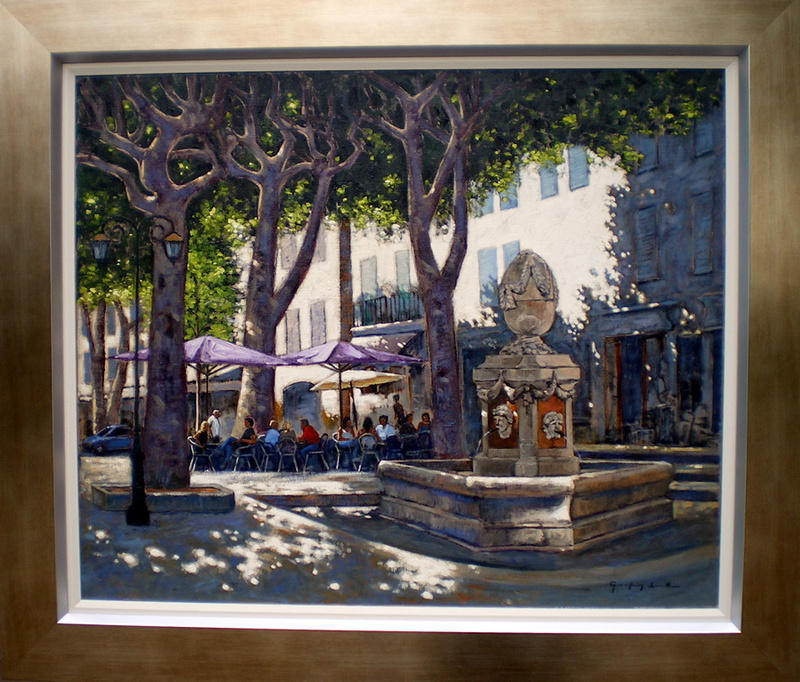 My first visit in May 2008 to Cotignac, a historic and beautiful Provencal village high in the Mediterranean hills. 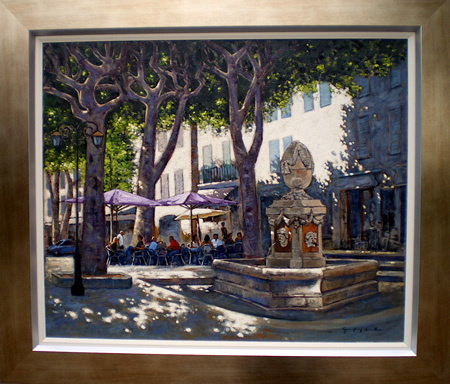 It has numerous fountains, my favourite The Four Seasons is situated in the Cours Gambetta, the centre of the village full of restaurants providing a continuous hum of conversations giving atmosphere and background for my painting over two afternoons. Strong dappled sunlight through the plane trees created spots of intense light contrasting with cool shadow areas.